RRI principals are experts in their field. Typically, these individuals have twenty or more years of experience as senior executives in major organizations as well as experienced professional service providers and educators. Dr. Shemwell, Managing Director of The Rapid Response Institute is an authority and thought leader in field operations and risk management with over 30 years in the energy sector leading turnaround and transformation processes for global S&P 500 organizations as well as start-up and professional service firms. He had been directly involved in over $5 billion acquisition and divestitures as well as the management of significant projects and business units. He formerly served as Chief Operating Officer for an energy services company. He directed Oracle's Energy Practice as vice president responsible for driving the strategic direction and business development. While MCI Systemhouse (now HP) he developed and implemented of the firm's Y2K practice with a focus on the real-time systems responsible for both upstream and downstream petroleum production operation--forerunner of today's Digital Oilfield. While serving on the Halliburton Energy Services Leadership Team, he led its Information Technology line of business and was directly engaged in the transformation of the company into its Integrated Solutions business model as well acting as the CIO of the $2 billion Terra Nova (offshore Canada) project. Dr. Shemwell has authored over 300 articles and presentations and three books; Essays on Business and Information, volumes I & II and just released, implementing a Culture of Safety: A Roadmap for Performance Based Compliance as co-author. He also served as a member of the PennEnergy Research Advisory Board. 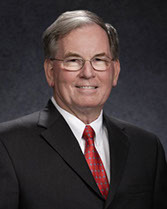 He holds a Bachelor of Science in physics from North Georgia College, a Master of Business Administration from Houston Baptist University and a Doctor of Business Administration from Nova Southeastern University. A full list of his Publications and Speeches is available. After an undergraduate degree in International Business and Change Management, he enrolled under full scholarships in a Canadian Business/Social Economics Program where he graduated with an MBA degree in 2000. This program included courses at foreign academic institutions like the International Business School in Jonkoping, Sweden and The Washington Center, Washington DC, where Mr. Donovan attended the NAFTA Leaders Program on a full fellowship from the Ford Foundation. He was a Canadian Youth Ambassador and National Student Leader, and has sat on the Board of Governors and the Executive of his Alma Mater at Cape Breton University. In his private and public life he has served on meaningful social, cultural and economic development projects throughout Europe, Scandinavia, Africa and the Americas. Mr. Donovan later received Diplomatic & Foreign Trade training from the Canadian Department of Foreign Affairs and subsequently was offered a position at the Canadian Embassy in Washington DC after leading an extended cultural mission in Egypt, showing significant ability to raise private money and build bridges of human understanding. With excellent presentation and people skills and being trilingual (French, Spanish, English) Mr. Donovan was mostly engaged with cultural international relations and business development at the most important Washington Embassy. Currently Mr. Donovan is an executive and co-owner in a group of companies that market spirits products globally, specializing in organic and kosher tequila from Jalisco, Mexico. He also is active in various other business developments that tend to revolve around Mexico-North America interactions and the energy and environmental development sectors. Mr. Donovan has long held a vision of what he refers to as the “Tri-North Atlantic Islands Alliance”, Cape Breton-Iceland-Ireland. His goal is implementing this vision, and he took it with him to Mexico which has opened a more sophisticated dynamic for the northern isles and their ever expanding economic, socio-cultural evolution. Mr. Donovan has visited Iceland several times and played a key role in planning and implementing Icelandic President Olafur Ragnar Grimsson’s official visit to Mexico in 2007 as well as the commercial and academic follow through. He is currently helping to establish The Rapid Response Institute of Mexico. Tom is a veteran of the international energy business, with a first degree in engineering and an MBA from London Business School specializing in finance and marketing. He was involved in the first wave of major project financing 25 years ago and has focused on international business development in the global oil and gas business since, living and working in the Middle East, Africa and both eastern and Western Europe, while being based in Houston since 1981. He has executed consultancy contracts for the British and Canadian Governments and headed up the international development of the largest British energy trade association for several years, taking over the running of their Houston office while expanding the business and opening new offices in Brazil and Singapore. He carried out energy-related feasibility studies in Kazakhstan, Angola, Brazil and China on behalf of the British Government Department of Trade & Industry. He has also organized and led Government sponsored oil and gas related trade missions to Mexico, Peru, Colombia, Venezuela, Trinidad, Canada and Brazil. For many years he has been a consultant to an international search company specializing in the global oil and gas industry, most recently working with the Saudi Arabian state oil company, Aramco, and assisting them in finding senior management to fill their most critical positions. In his early career, Tom had the opportunity to live and work in Bahrain, Oman and Abu Dhabi, as well as managing businesses in Saudi, Qatar, Dubai and Kuwait. He also spent several years with a Dutch dredging, offshore construction and pipeline company, working initially in Holland before being transferred to the US to open their pipeline construction business and with a responsibility for business development for major pipeline projects in North and South America. Dr. Brooks is a solutions-driven human factors specialist with expert knowledge in solving workplace problems. She has a unique ability to identify underperforming areas in diverse environments and immediately deploy corrective action plans to ensure regulatory compliance, maximize employee performance, and improve safety/ergonomics. She works with all levels in an organization to resolve issues; drives strategic decision-making processes. She is experienced in multiple job market sectors including manufacturing, government agencies, oil and gas, nuclear power generation, and environmental restoration and remediation.